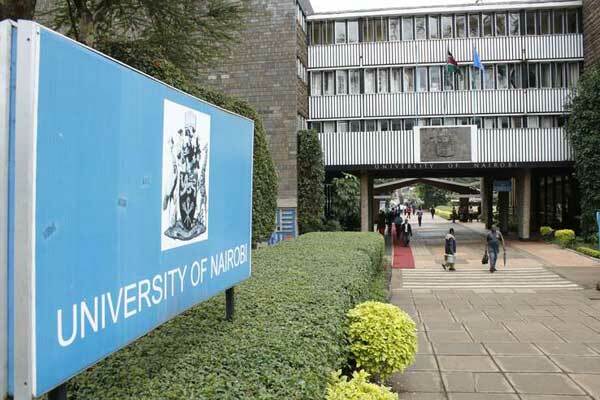 The University of Nairobi (UoN) management is downplaying the accommodation situation that was caught on camera. Sources say that the narrative being driven by the management and the Vice Chancellor Professor Peter Mbithi is a lie. According to a source who sought anonymity, after the recommended standards by Commission for University Education (CUE) were adjusted, hostel rooms that previously held three students were cut down to two and those that accommodated four students, down to three. The adjustments came before freshmen were admitted on September 10. This was around the same time a large group of students were resuming studies after the long holiday break. Fourth year medical students were also resuming studies. Freshmen are said to have been prioritized while continuing students took a back seat. The remaining rooms were allocated to them but the unlucky few still could not get accommodation. “Normally room allocations are done when we are still on holiday, but this time round, on the same day that the students were checking in there hadn’t been any room allocations done. The students thought it would be a temporary situation because of the clash of admission and resumption on the same day, but that was not the case,” a source privy to the details told Kahawa Tungu. It is then that the 4th year Medical students organized a peaceful demonstration in front of the Accommodation offices, but their cries were not heard. Kahawa Tungu understands that the situation is so bad that the students are not only sleeping on the pavements but in the TV rooms. “The said student has not approached the current student leaders for assistance nor has he approached any university official. If he was genuine, he would have sort assistance and we would have stepped in. Until now he has not come to us,” said Deputy Vice-Chancellor, Student Affairs, Prof Isaac Mbeche.